The Honorable Jean Hoefer Toal, Retired Chief Justice of the South Carolina Supreme Court, spoke to Columbia Capital Rotary Club on May 3, 2017. Toal graduated from Agnes Scott College in 1965 and the University of South Carolina School of Law in 1968, where she was Managing Editor of the South Carolina Law Review. As a lawyer, she argued before the United States Supreme Court on behalf of the Catawba Nation. She represented Richland County as a Democrat in the South Carolina House of Representatives for 13 years. 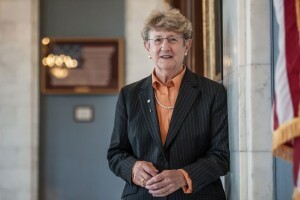 Toal, the first woman and the first Roman Catholic to serve as Chief Justice, was sworn in to the South Carolina Supreme Court on March 17, 1988 and served until retirement on December 31, 2015.